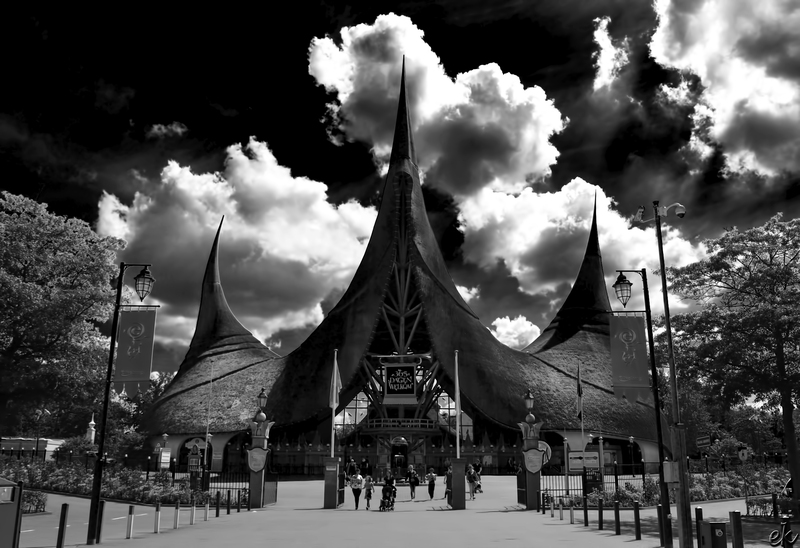 The Efteling is located in Kaatsheuvel, The Netherlands. On the photo below you can see the main entrance. I tried to give this photo an infrared look, by experimenting with the black and white option in Photoshop. It looks very dramatic with the skies. The sky gives the photo a very dramatic look indeed!